New functionality in Microsoft Office Web Apps is the preview feature in search (see below). Setting up a separate farm for Office Web Apps is a great way to improve performance and make a scalable solution but it can bring up some new technical challenges. A couple of the most common issues are listed below. Do the internal and external URLs of the Web Apps Server resolve from the SharePoint server? When setting up the web apps farm, a SAN certificate needs to be specified with both the internal URL and the external URL (see below). Wildcard or single host certificates will not work. Both the SharePoint and Web App server need to see each other. Make sure that internal DNS is setup for the external web app address. Run ipconfig /flushdns on the SharePoint server. The SharePoint server needs to resolve both addresses internally. The Web Apps server also needs to have an entry for the SharePoint site URL. 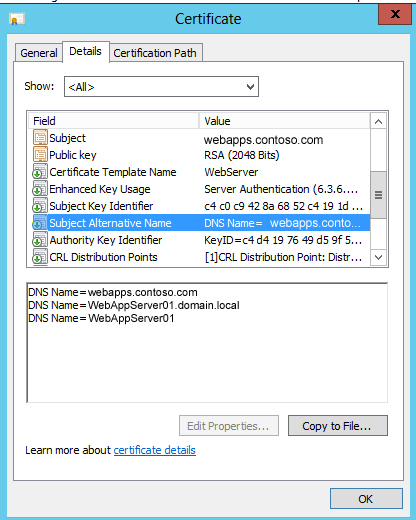 Ensure that the SharePoint site has an internal DNS entry and flush the DNS on the web apps server. 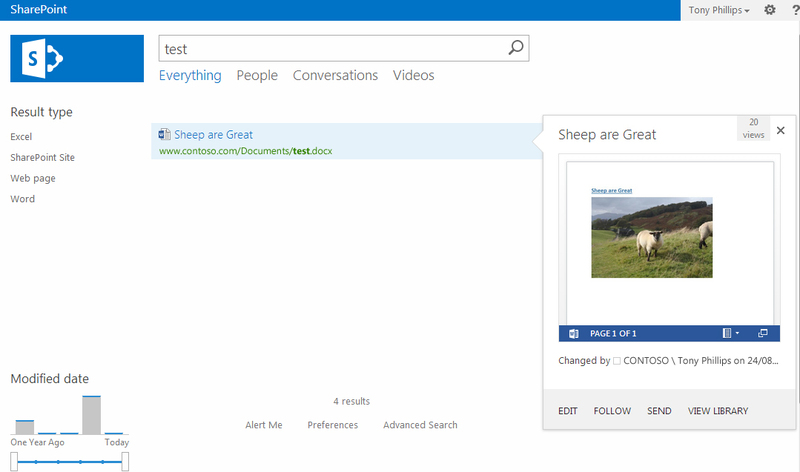 Browse to the SharePoint site on the web apps server to ensure that it can see the site without any certificate errors. This entry was posted in SharePoint 2013, SharePoint News, Tony Phillips and tagged Codnor, Derby, Hull, Internal External SAN, Office Web Apps, Phillips, Search, SharePoint, SharePoint 2013, SharePoint Office Web Apps, SharePoint Office Web Apps Farm, Tony, Tony Phillips, Web Apps Farm Issues on August 24, 2013 by Tony Phillips.